PE0590. 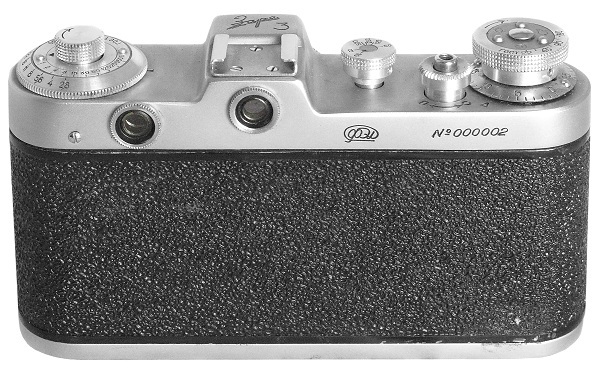 Prototype camera, released by FED in 1960. Has the same specifications as the original, but includes under the top plate an optical lightmeter. A second viewer lets the user see a grey scale lit by ambient light. Under the rewind knob, rotating the coupled diaphragm ring turns the grey scale and shows the correct speed when the two coincide. 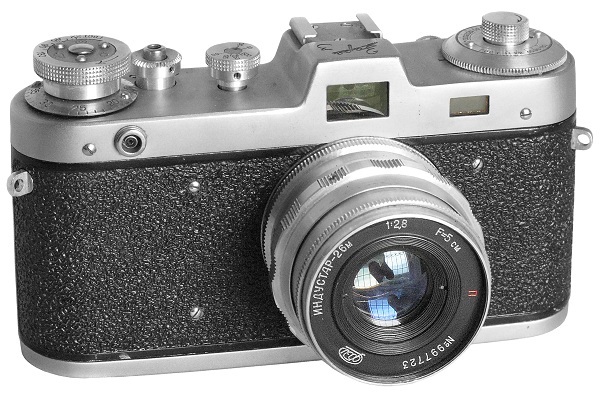 Camera #000002 is equipped with a prototype of the FED-Industar-26M 2.8/5cm in a simplified mount, with the focusing ring moved to the front of the lens (source: The Authentic Guide to Russian and Soviet Cameras by J.L.Princelle, 2nd edition, 2004). 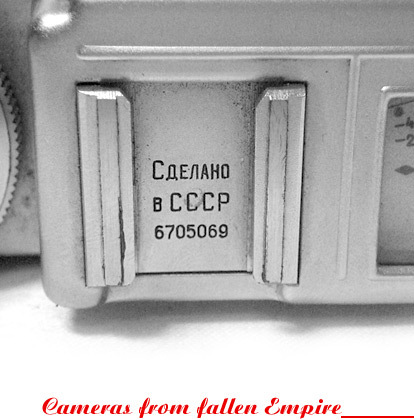 Camera #000002 below from Yuriy Davydenko (Ukraine) collection.